Company: It is the unit to which your financial statements are created and can have one to many company codes assigned to it. A company is equivalent to your legal business organization. Consolidated financial statements are based on the company's financial statements. Companies are defined in configuration and assigned to company codes. Each company code must use the same COA (Chart of Accounts) and Fiscal Year. Also, note that local currency for the company can be different. Company Codes: They are the smallest unit within your organizational structure and is used for internal and external reporting purposes. 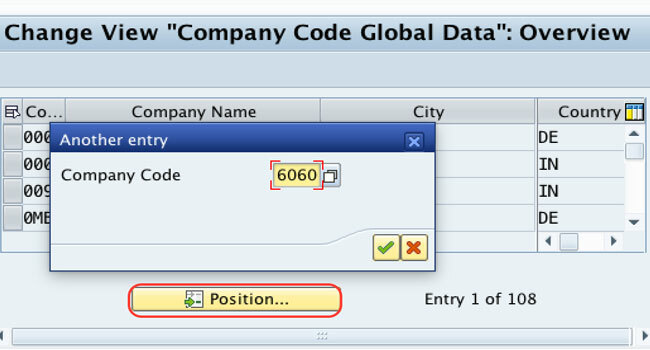 Company Codes are not optional within SAP (Systems Applications and Products) and are required to be defined. Financial transactions are viewed at the company code level. Company Codes can be created for any business organization whether national or international. It is recommended that once a Company Code has been defined in Configuration with all the required settings then other company codes later created should be copied from the existing company code. You can then make changes as needed. This reduces repetitive input of information that does not change from company code to company code as well as eliminate the possibility of missed data input. What are cross company transactions? In cross company transactions several company codes are involved. In a cross-company code transaction, the system posts a separate document with its own document number in each of the company codes. Individual documents are linked by a common cross-company code number. The system generates line items automatically (receivables and payables arising between company codes) in order to balance the debits and credits in each document. Both companies accounts are updated with the single entry. Read Here for More SAP MM Tutorials. There is no much difference between Company and Company Code as long as the company does not have any branches. If a Company has different branches across the globe (i.e., the company has different branches in different countries) then each unit is called as a Company Code instead of calling it as Company. If a company established a new branch in another country it may have different taxes, currency and legal restrictions to meet all these requirements. The company will have to record the transactions separately in order to this company will create and maintain new company code. It is very important to note that only branches in different countries are called as Company Code. Branches in the Same Country belong to only 1 company code. A company is used for consolidation functions in SAP whereas company code is an independent legal accounting entity for which we can create a complete set of financial statements.